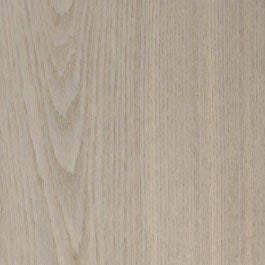 Our E222 is a very well priced 15mm board in a light white matt lacquered oak. 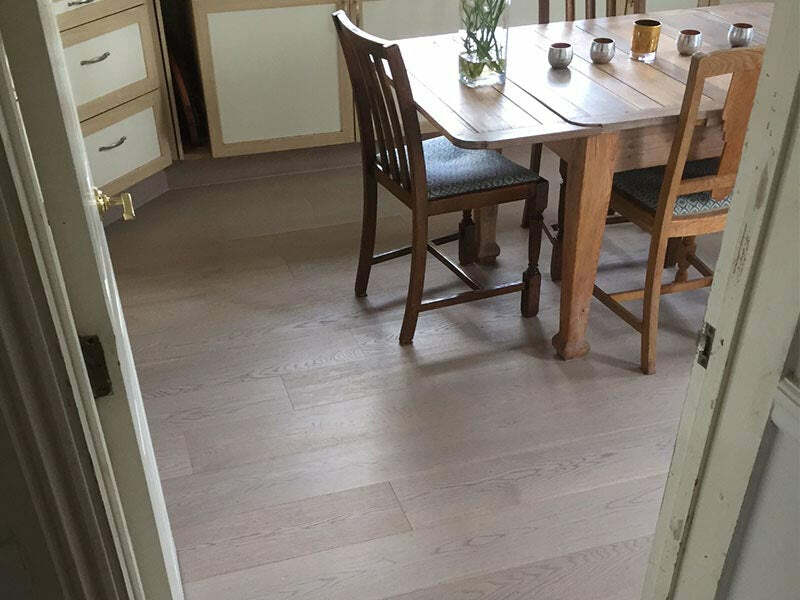 The client had considered a number of 20mm Scandinavian-style white oak boards for her open-plan layout. 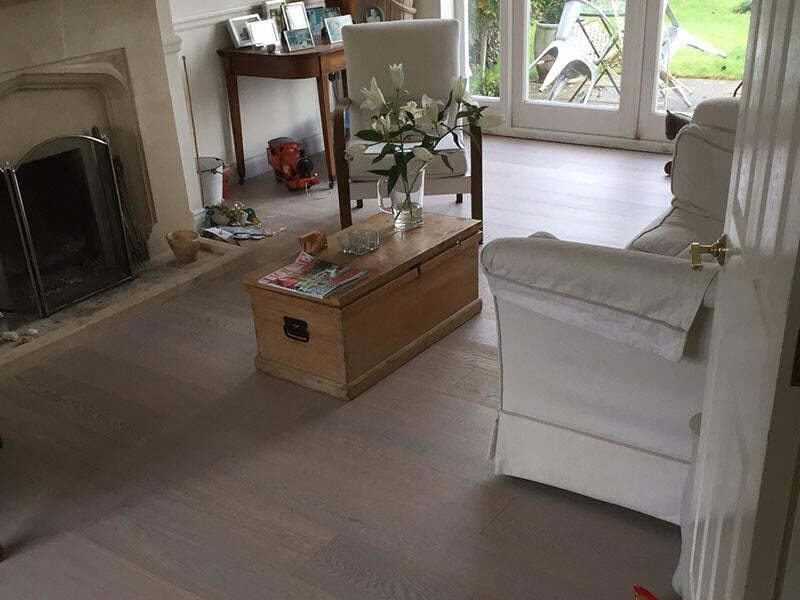 The light, white-washed look is very popular for wood flooring at the moment and sometimes the treatments on these boards to give the very light tones can add to the cost. 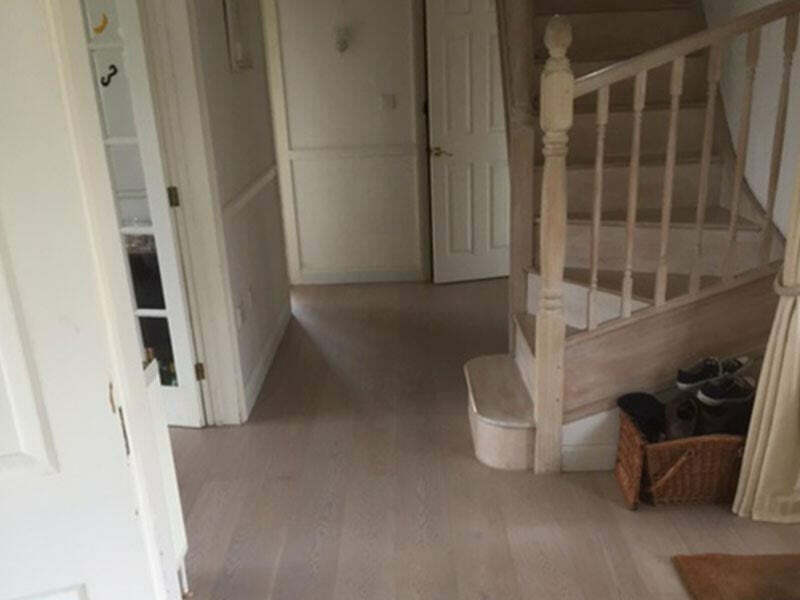 The client was thrilled with this far more reasonably priced option, which was exactly the look she was going for, having this board fitted throughout their house.